Thornbury Ontario is one of those places that we always seem to take a road trip to from our cottage in Southampton on a rainy or what we call a non-beach day. The draw for us is the downtown strip with an excellent bakery and lots of posh shops. Thornbury is so much more than just a rainy day drive stop however as it doubles as a cottage and ski destination for many of those looking to escape the city. Thornbury is part of the town of the Blue Mountains and is found where the Beaver River empties into Notawasaga Bay, part of Georgian Bay. Because of its proximity to Collingwood and the ski resorts in the area like Blue Mountain, Osler and Beaver Valley, Thornbury is home to a number of ski chalets. It is one of those towns that doesn't close up shop for the winter after Thanksgiving! We have actually never visited in the winter though. It is the summer that draws us here. 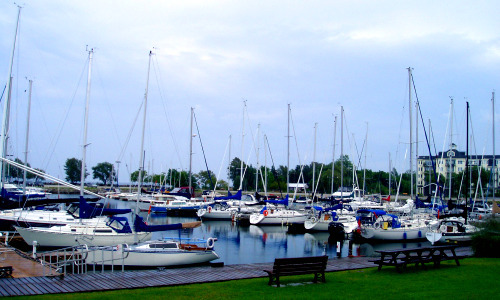 Thornbury has its own yacht club that caters to both sail and power boats. There are two Blue Flag beaches in Thornbury and Craigleith, the Little River Beach and the Northwinds Beach respectively. Thornbury also has 3 cottage country golf courses in close proximity, Tomahawk Golf Course, Raven Golf at Lora Bay and Georgian Bay Club. Of the three Tomahawk is a pitch and putt course, while Raven Golf is semi-private and the Georgian Bay Club is a private golf course. 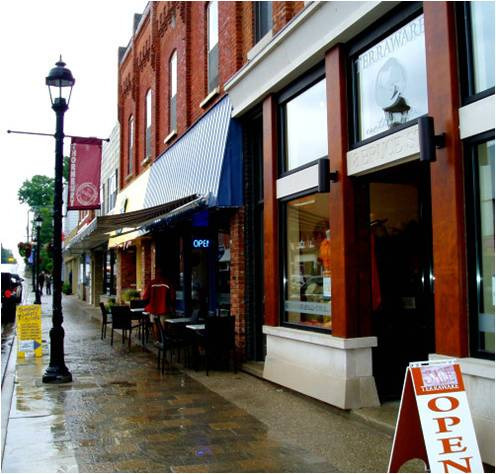 Thornbury has a downtown that any shopoholic would be thrilled to shop in. The stores are mindful that their clientel is looking for something different and are largely coming from big cities like Toronto. In fact there are over 64 shops and restaurants to choose from one of our favourites being the womens clothier Furbelows. 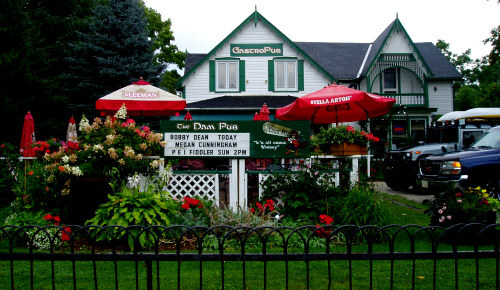 Restaurants are also of high quality in Thornbury. The local bakery is always hopping and has fabulous breads. We have also eaten at Sisi on Main and can give it two thumbs up. 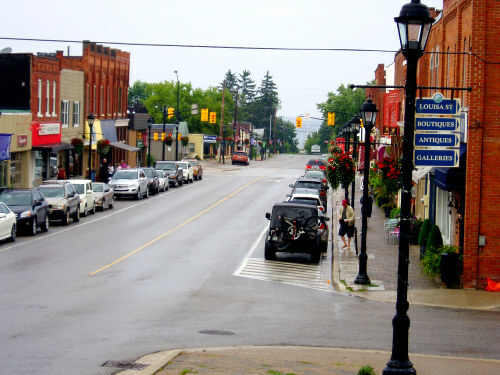 Whether you are visiting a cottage in the summer months or slushing though the downtown in the snow, Thornbury is a year round cottage and ski community that brings the best parts of the city to rural life. Return HOME from Thornbury Ontario.